Mass Desire: What it is and why you shouldn't run with the herd in your marketing. Copying what everyone else is doing has been a recipe for mediocrity in almost all industries. Marketing in particular is plagued with the prescriptive method of “copy the competition” follow steps 1,2,3 and you’ll be all set. You and I can do so much better than that by harnessing one thing, mass desire! While, there is value in seeing how someone else does it, or how to accomplish a technical task (like creating a cold traffic campaign); the returns diminish quickly when the overall marketing strategy becomes “do what those guys are doing”. Each business is unique, each marketing challenge is a company’s own. They cannot replicate the success of others into their business in a way that is scalable, authentic and impactful long term. Famed advertising legends like David Ogilvy and Eugene Schwartz have always been keenly aware of this fact. This knowledge, I’m confident in saying, is what makes them marketing hall-of-famer’s when so many in the industry are just treading water. “Mass desire is the public spread of a private want”. For example many people share the Mass Desire to be more beautiful, thinner, wealthier. However, few people go around telling everyone they meet that they want to be richer and sexier. Though, we know that this private want is held on a massive scale by many people, people we know. There’s nothing wrong with it. In fact, there is everything right with it. Marketers, over and over and over again, try to create desire. They try clever gimmicks that don’t work. They mention competitors in their ads, still to this day! Despite the fact that over 30% of people, when you mention the brand of your competitor in an ad, will think the ad was about your competitor. It’s incredible that this simple idea isn’t the guiding principle of all marketing campaigns, like the laws of the universe, the laws of human desire apply ALWAYS to marketing. You can not change the laws of the universe, you can only direct them to your purposes. The same is for the laws of human desire. Some Marketing Campaigns Run For Months, Some Run For Decades. What’s The Difference? Great marketing campaigns can run for 30 years and most do. You only need to look at brands like Pepperidge Farms, or congolmerates like Johnson and Johnson that have campaigns running successfully for 20 years or more on average. Why are these campaigns so successful? One reason is they are unique to their product and the problem they solve. They position themselves in a manner that is timeless. Not novelty. They respond to the market and create a campaign that taps into the universal quality of all great marketing. Which is, harnessing the mass desire of a target market on to their product. Too many brands try to create desire. They try to educate consumers on why they should yearn for their product. So why do people stay brand loyal? Why do they refuse to switch. Is it marketing? No, because no matter how savvy your marketing campaign is, if it does not harness the power of mass desire on to your product, it will not have the ability to turn every dollar spent on marketing into fifty or a hundred dollars of revenue. Is your marketing focused on teaching people why your product is great or the many features it provides over the competition? Then you’re wasting marketing dollars educating people. It’s well known that the return on marketing dollars for educational campaigns is at best $1 of revenue per $1 of marketing. So why is it that some campaigns can create as much as $50 of revenue for every dollar spent on marketing? What makes these campaigns different? YOU CANNOT CREATE DESIRE FOR YOUR PRODUCT. It’s so important I’ll repeat that, you cannot create desire for your product, you can only channel existing mass desire onto your product. That is the only job your copy has. 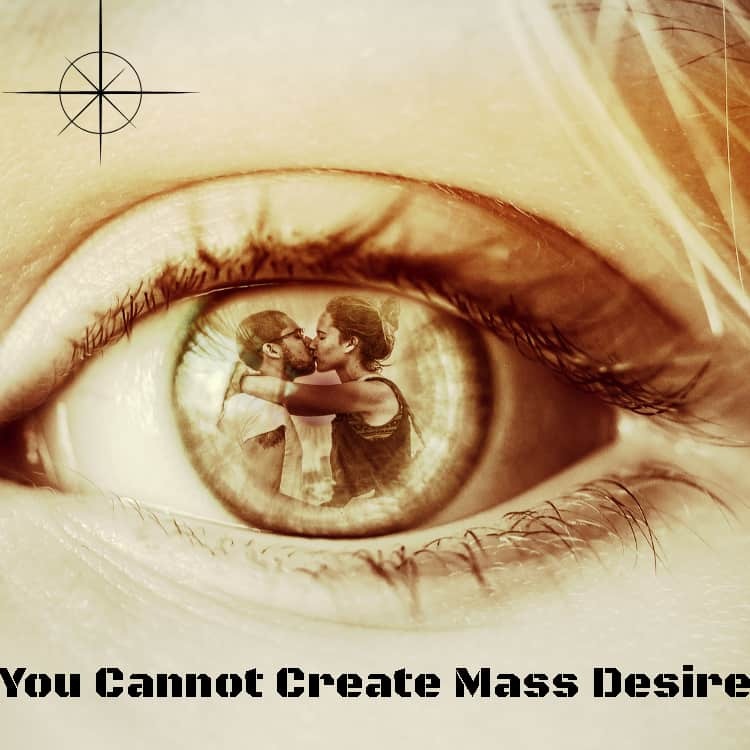 To channel and direct existing mass desires onto your product; not to create them. No amount of money can create mass desire. Remember your copy writing does not create desire. It channels it. Harnesses it. When you’re making your next marketing campaign ask yourself first, “What is the mass desire that I can harness the forces of onto my product”, I think you’ll be pleasantly surprised. As a gift for reading this article, I want to give you something, totally free, that I think will help you. Once you’ve thought about and decided upon the mass desire you will harness on your product I want you to follow this guide on creating paid campaigns that will allow you to massively increase your reach and advertising effectiveness. If you’ve found the mass desire that fits your product or service to perfection and are ready to hone that desire onto your product I promise this guide will work for you, as it has done so for so many of my clients. There is only one thing special about this guide, and that is, it is comprehensive and instructional. You’ll do all the hard work creating your campaign. This will allow you to implement that campaign more efficiently than your competition. Grow your audience and build a (more) profitable online business.